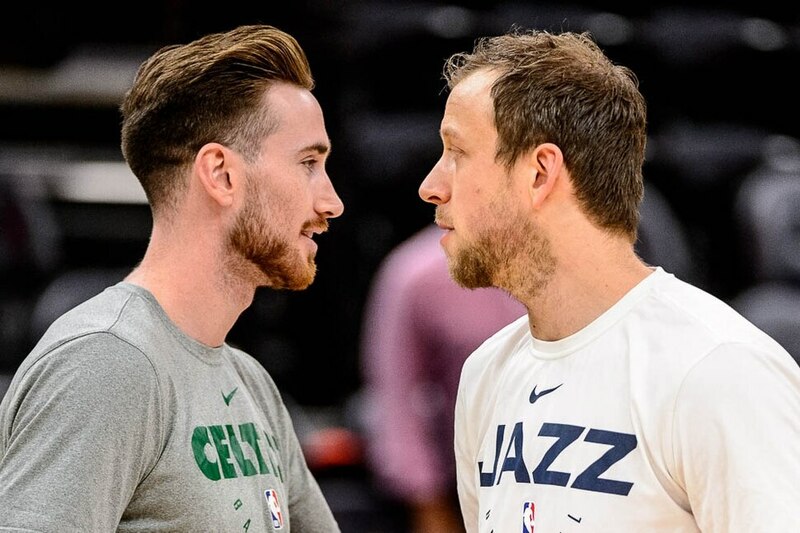 Most of the 18,306 people packed into Vivint Arena on Friday night were still angry, wanting to exact revenge on Gordon Hayward and his Celtics for the obvious reason: Conspiring to swipe away to Boston the only All-Star the Jazz had on their roster a year and a half ago. But when the All-Star himself was the one making the deal happen, what are you gonna do? Boo, that’s what. Boo and boo some more and, as it turned out, heartily enjoy a Jazz win, by the count of 123-115. 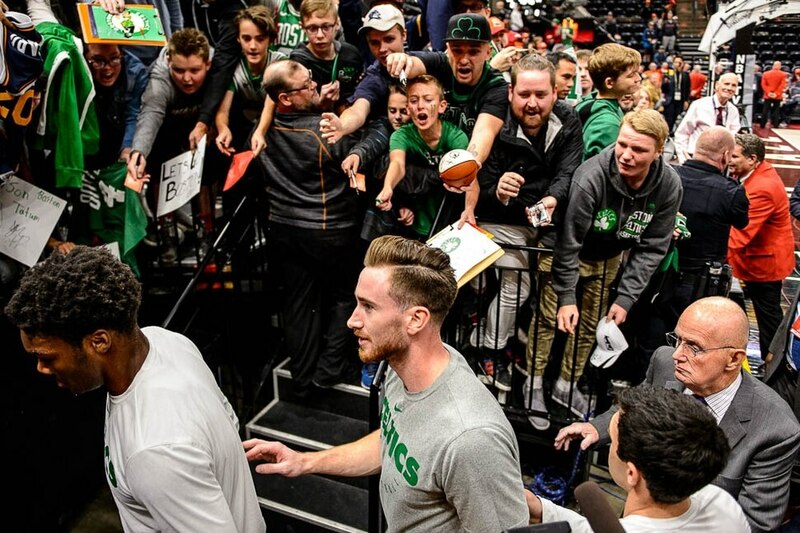 Those fans went ahead and gave voice to their remaining frustrations, letting out their displeasure, aiming it at Hayward, again and again, in his first trip back to the building where he became a stellar player, a player the same people had cheered for seven years. They cheered no more, and probably never will again. Hayward had indicated earlier that he thought the fans would bring their “A-game.” He understood. But he also conveyed that the rude reception would be no big deal, that it was time to move on. And he wasn’t alone in that assessment. Hayward’s former teammates on the Jazz essentially said the same thing. It was just another game against just another opponent. As far as they were concerned, that’s what Hayward had been reduced to. Another No. 20 in just another jersey. But the down-players had a point. Derrick Favors underscored it when he said the Jazz, at this particular juncture, had more concerns about themselves than they had about anyone else. He took it further when he reminded everyone that had the Jazz retained Hayward, used so much cap space on him, Favors himself now would be wearing a different uniform. So … what? … thanks, G-Money? Either way, the Jazz, still hurting coming in with a record under .500 after 11 games, a substandard mark no one expected, and as badly as they wanted to whup up on their former teammate, really were more focused on other matters. Hayward would have no lingering effect after Friday night, regardless of the outcome. He, then, was hardly Enemy No. 1. A loss held that distinction. As loathsome as the postgame image of Hayward posturing and grinning on the court was, the prospect of going 5-7 after 12 games was even more hateful. The energy and focus the Jazz scrounged up against Dallas was again evident here. Playing smart and hard wasn’t some vague forgotten, forsaken notion leftover from last season, as had been the case too often of late. The Jazz played like they really wanted, no needed, this win. Discipline and effort — and nerves — were apparent. Boston looked at ease early, building a lead. When Joe Ingles hit Hayward, causing him to fall, the crowd cheered. It was one of the few early shots the Jazz hit. They warmed up later, eventually making 55.8 percent of their attempts. Ingles warmed up, with 27 points on 10-for-14 shooting, 20 points coming in the first half. But they were sloppy with the ball, at times, too. No matter, the game was competitive and close, thereafter and throughout. Hayward made 3 of 9 shots, with 13 points. The contest had more extra sauce poured into it on account of one other added element in the mix: The Celtics had been given all kinds of attention as the favored young up-and-coming team in the NBA, all while the Jazz saw themselves as every bit of that and more. The Celtics, the Jazz figured, had the advantages of playing in an easier conference, against lesser competition, in a larger market with brighter lights shining on them, but all of that diminished their own high self-esteem not one iota. 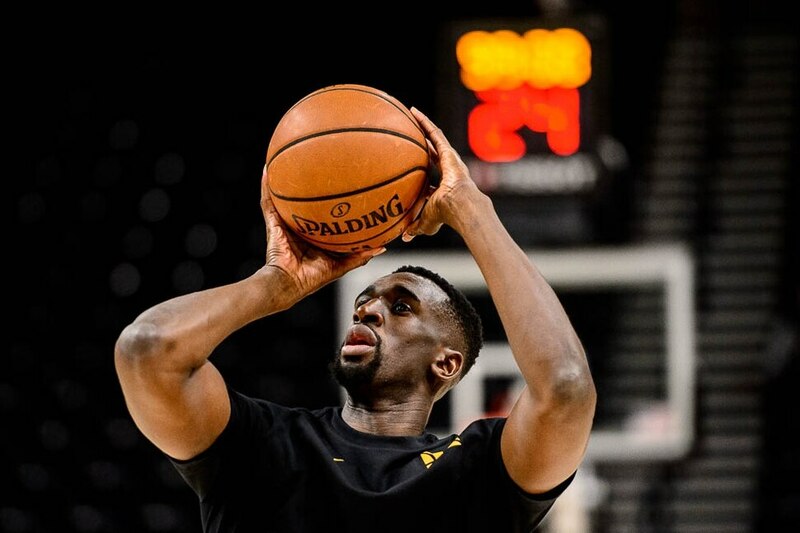 Much like in their hard-fought, last-nanosecond, one-point loss to the Warriors earlier this season, the Jazz wanted to prove, in a nationally televised game, that they are worthy of the same recognition. The whole of it called for their strong efforts. And that’s what it took to win. When the Jazz did, the booing stopped.